Posting on the above social platforms is available for all plans, including free users, with one exception — the LinkedIn posting feature is available only for paid users. This article will guide you through the tool’s setup and settings adjustments. 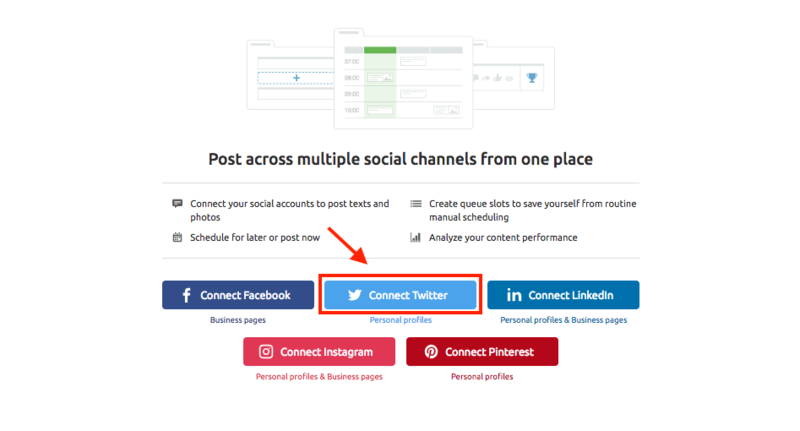 Start with connecting a profile by choosing a social media channel and clicking on the ‘Connect’ button. If you’re logged into a social profile and using SEMrush in the same browser, the tool will prompt you to authorize SEMrush to use your account. Otherwise, you’ll have to log into the social platform you want to post from and authorize SEMrush to use your account after that. So, how can you authorize SEMrush to use each social media platform? 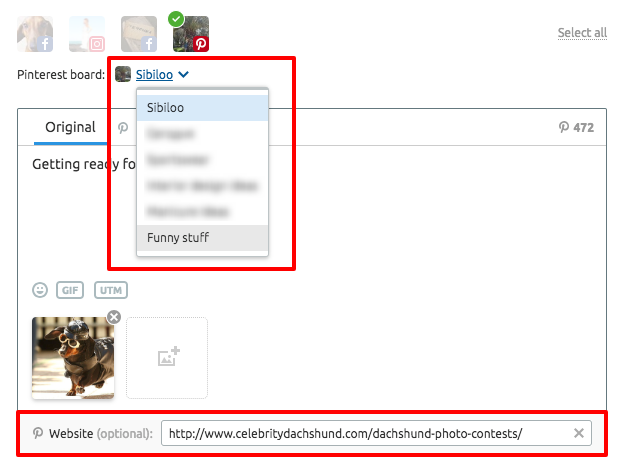 Once you connect your Pinterest account, the tool will automatically find your boards so when you create a post you’ll also choose the board to post to in the drop-down menu. 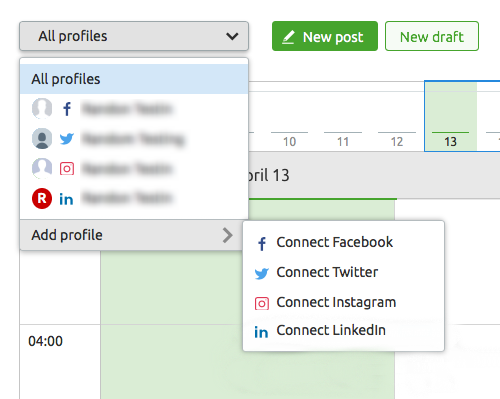 Once you’ve connected a social profile, you can add more directly from the tool’s Calendar tab by clicking on the ‘Add profile’ button on the top left. 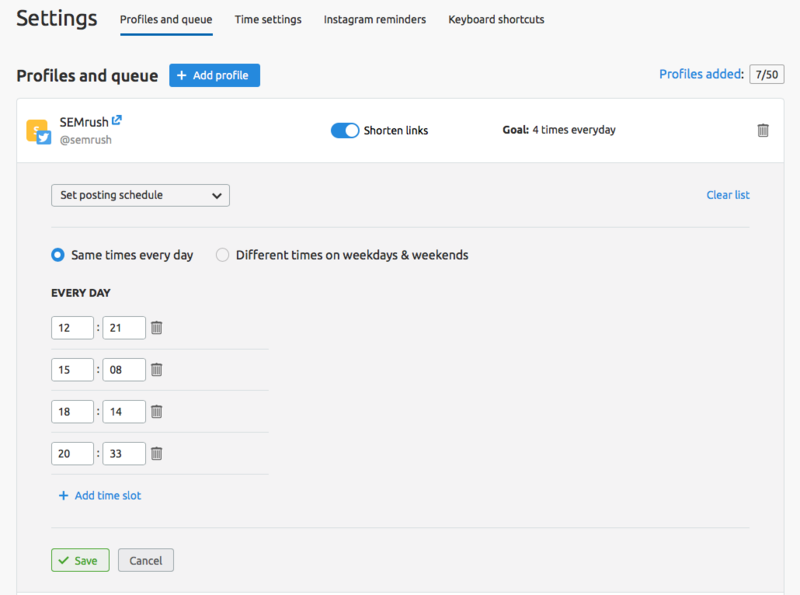 This step is optional and can be completed later — once you connect a profile you are free to start creating and scheduling your posts. To adjust your settings, go to the ‘Settings’ button at the top right of the tool's interface and click on one of the four options. 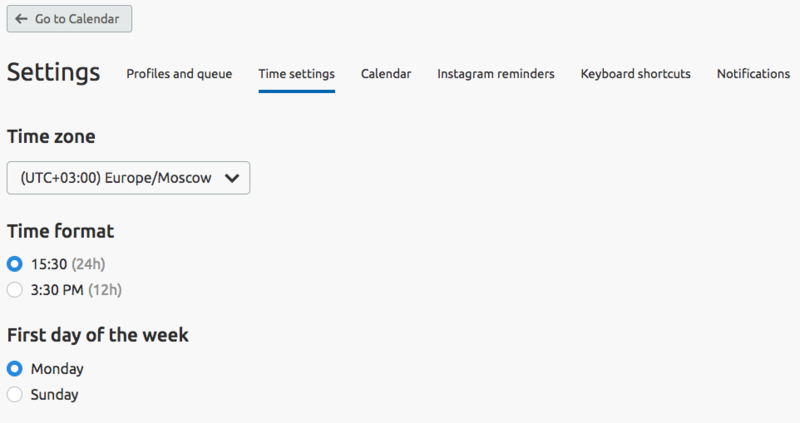 ‘Calendar’ allows you to change the Calendar view mode. ‘Notifications’ allow you to configure special alert. 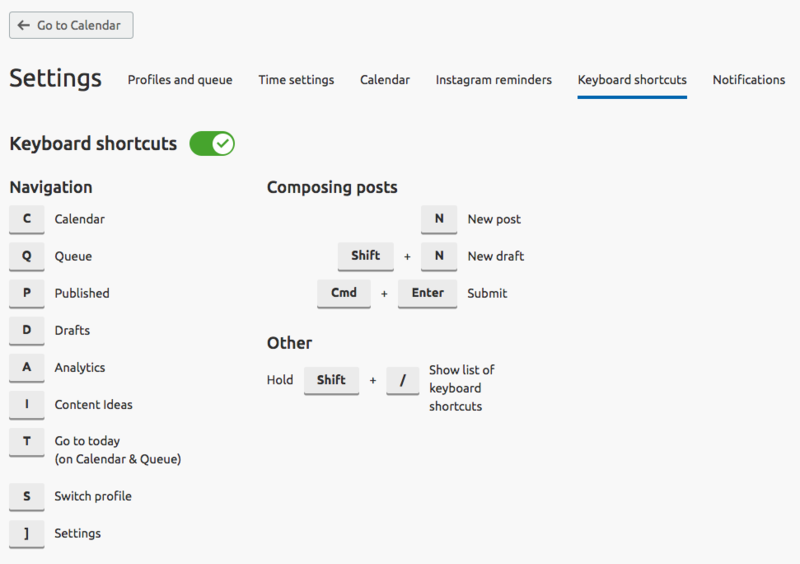 Now that your tool is fully configured, start creating and scheduling your posts.